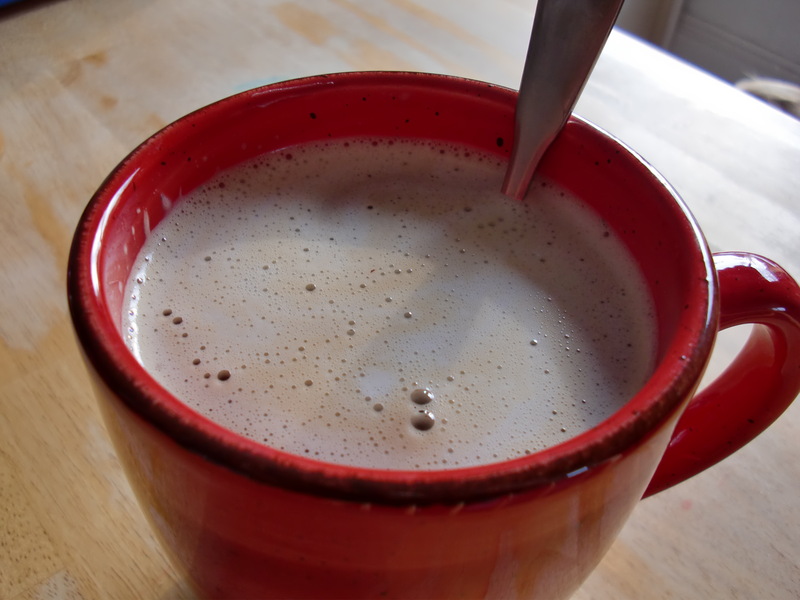 In Part I, I gave an overview of our homeschooling lives. In this post, I provide information about the materials we use and how we chose them. Not every homeschooling family uses materials of this type, this is just what we use (for now). When it comes to curriculum and how child-led I want my children’s education to be, I’m influenced by both The Well-Trained Mind (which I’ll abbreviate as TWTM) and Thomas Jefferson Education (see A Thomas Jefferson Education: Teaching a Generation of Leaders for the Twenty-First Century by Oliver DeMille), both of which encourage families to use different approaches to suit their child’s age, development, interests, and temperament. What seems to be working for us at this point is for me to set up a list of subjects that it’s important to me that my daughter cover, and then let my daughter help me in deciding what to study when and—albeit to a lesser extent—which materials to use. I try to let her be part of my decision-making process so that as she gets older, she’s prepared to take on more responsibility for designing her own education. My daughter’s big on structure and loves to work through things in order from start to finish, so our materials are fairly traditional (texts, workbooks, etc) and we tend to follow a fairly set routine. We try to allow plenty of time for open-ended exploration in addition to the more structured instruction, and following a routine helps facilitate this. What follows is a list of the subjects we study, the materials we use, and a few notes about how we chose them. Many of the materials that have worked for us are those recommended in TWTM, but we’ve made several modifications in response to my daughter’s needs and interests. Saxon Math homeschool curriculum, supplemented with Life of Fred by Stanley F. Schmidt. I used Saxon Math in my eighth-grade algebra class, and I remembered how effective it was in helping me to retain concepts, so I went with Saxon first. It turned out to be a good fit for our daughter, so we’ve stuck with it. The only trouble we’ve had is that it seems to assume that children are taking off for a three-month summer break during which they’re doing no math at all. As a result, there’s a lot of review at the beginning of each level. We customize the program to some extent to prevent my daughter from becoming bored with excessive review. We do Saxon four days a week and Life of Fred on the fifth. Life of Fred is math concepts taught through the story of Fred Gauss, a five-year-old math professor at KITTENS University in Kansas. The books are silly and fun and do a great job of linking concepts from math and other disciplines (history, economics, biology, etc). My daughter loves doing Life of Fred; she considers it a treat, and we do it on our instruction-light weekly Library Day. Adventures with Atoms and Molecules, Books 1 and 2, by Robert Mebane and Thomas Rybolt, and The Usborne Science Encyclopedia (which includes links to fun, relevant activities online). This year we’re doing 30 weeks of chemistry. My daughter’s only seven, so we’re not breaking out my spouse’s organic chemistry books yet or anything, but we’re doing some fun basic chemistry experiments. We do two experiments from Adventures with Atoms and Molecules each week, including completing an experiment page for each and adding to our definitions page. This follows the recommendations from TWTM pretty closely. 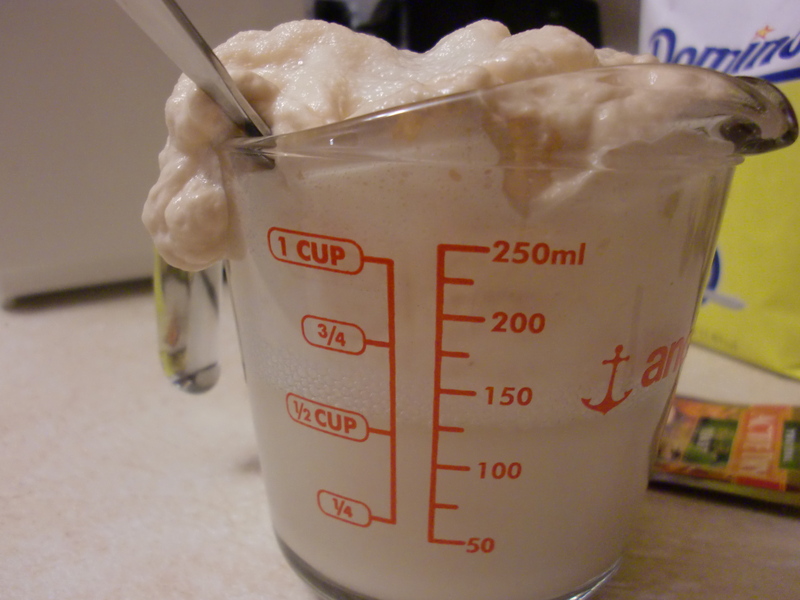 The experiments are easy to follow and mostly don’t involve any wacky items. The toughest ones for us were those that called for 16-ounce bottles of cola. We never buy soda, and we had to make a special trip to Target to get a couple of bottles. Writing with Ease by Susan Wise Bauer (leveled instruction books including student pages). There are four lessons each week. For the level my daughter’s in now, there are readings from classics of children’s literature and dictation assignments based on those selections (earlier levels had copywork rather than dictation). We love the readings that are included. They have introduced us to so many fantastic children’s books that we might not have found otherwise. Many of our read-alouds and the books my daughter reads to herself come from the reading excerpts in this curriculum. My son enjoys listening in on these stories, too. First Language Lessons for the Well-Trained Mind by Jessie Wise. The level my daughter is in this year has both a workbook and an instructor’s guide; up to now it’s just been one book. In this level, my daughter has started diagramming sentences. She loves diagramming sentences (in case there was any doubt that she’s my offspring). Spelling Workout from Modern Curriculum Press (I buy only the student books). This was recommended in TWTM and is basically a workbook. It’s the first we’ve tried, and my daughter loves it. We do spelling twice a week. When she gets a little older, I’m going to add (or perhaps replace this with) a vocabulary lesson. I’m eyeballing the Vocabulary from Classical Roots series since my daughter loves ancient languages so much (and since it’s gotten good reviews online). Wordly Wise is another that’s rated highly, but that looks like it might overlap a bit with the writing and grammar we’re already doing. I’ll preview and make a decision by next fall, I expect. Zaner-Bloser handwriting workbooks because I like that script best (I do not buy the teacher’s editions, just the student books and a ream of handwriting paper for the grade level she’s in). My daughter does a page or two from the workbook twice a week, and writes letters and cards to family and friends for extra practice. This is another subject she loves. This is our most time-consuming subject. Each day we practice for 45-60 minutes. My daughter has a private lesson each week and a group class each week or two. This coming fall, we plan to add another ensemble to that mix. What that will be, we’re not quite sure yet, I just hope it doesn’t involve another 45-minute commute like her lessons and group classes do. 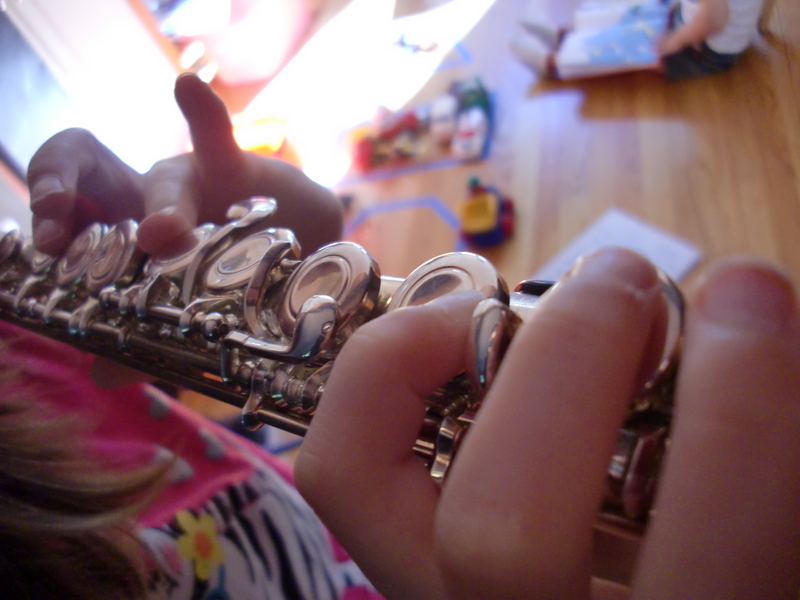 We follow the Suzuki Method, which has been wonderful for my daughter and for me. We find that it fosters joy, cooperation, and a love of music while helping children become confident in their ability to set and meet challenges. We also have a phenomenal teacher (one whom we spend a lot of time in the car to see each week). This is new this year. We started out with a Latin curriculum recommended in TWTM (Prima Latina), but when that one wasn’t working, we switched to Lingua Latina per se Illustrata by Hans H. Ørberg. I chose this one because it’s the text used in the Latin classes I decided we’d sign up for if it turned out I couldn’t learn Latin alongside my daughter. So far, we’re both loving it. It teaches Latin through the story of a family in ancient Rome. There are no vocabulary lists to memorize and direct translation is discouraged. The meaning of words is picked up through context. 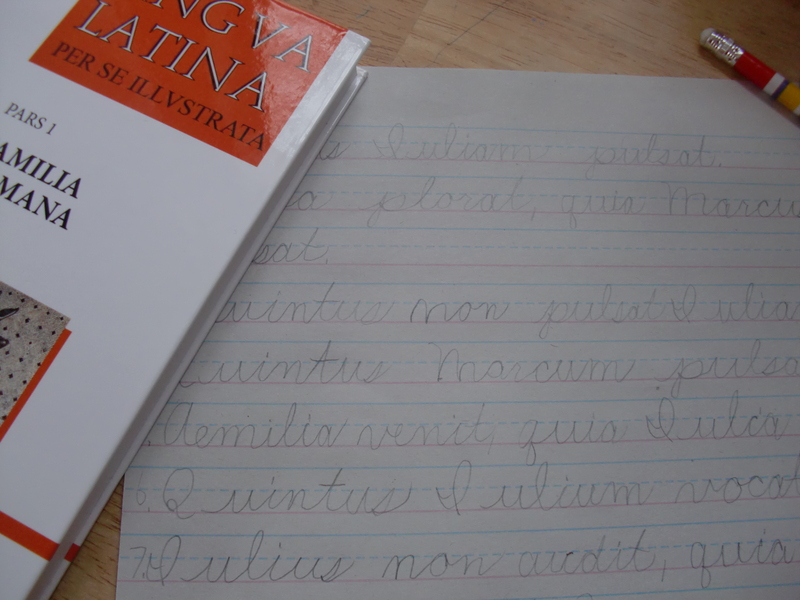 My daughter is very proud of all that she’s learning and uses Latin when she can throughout the day. It’s interesting to watch my daughter get frustrated almost to the point of tears only to switch over to elation and celebration in the next instant when the lightbulb goes off. We do a lesson a week, and we do Latin four or five days a week. We got the companion CD-ROM for Mac, which includes tests and exercises (which are a little buggy and sometimes frustrating to use), and Ørberg reading the text in Latin, which is what we really love about it. The reading bit is a bit buggy, too (for example, you can’t pause the reading. If you stop it, you have to listen back through the whole chapter to get to where you were), but Ørberg is such a pleasure to listen to, it doesn’t bother us much. My son does little in the way of formal instruction. As I did with his sister, I try to follow his lead when he indicates an interest in something. He enjoys practicing writing his letters and sounding out words, so most of what we do is language-related. He listens in to his sister’s lessons, and often surprises me with what he retains (I’m tickled that my 3.5-year-old has memorized the list of helping verbs after listening to his sister practice them over and over again). Below is the list of materials that we’re using with him. I don’t “play school” (as he calls it) with him regularly, just when he requests it. This ends up being probably three or four days out of five most weeks, and our “lessons” take maybe 15 minutes a pop because that’s about as long as he’s able sit still and focus at the moment. Zaner-Bloser Kindergarten level handwriting workbook. 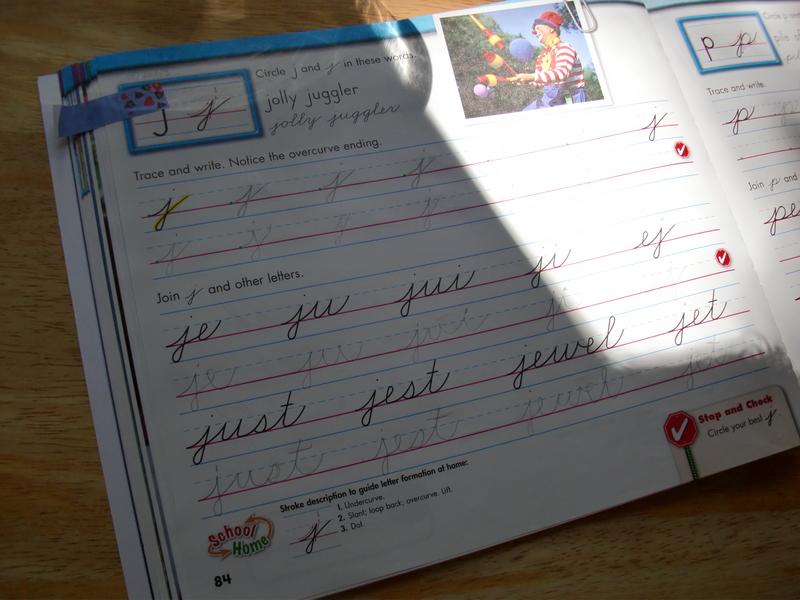 He requested a handwriting workbook after watching his sister practice her handwriting twice a week. Before we got the workbook, he’d actually taught himself to write most of the uppercase alphabet while his sister and I were busy. He forms the letters a little funny, but he is incredibly motivated to practice his letters, and I’m sure his letter-forming will improve as he wants to write more and faster. He’ll do a page or two in this book, then practice on dry-erase boards and occasionally with a Sharpee pen on various toys and other surfaces that I’d rather not have not have decorated with a permanent marker. I’ve concluded that there is no safe place in our house to store Sharpee pens. Or scissors. The Ordinary Parents Guide to Teaching Reading by Jessie Wise and Sara Buffington, the “BOB Books” series of early readers by Bobby Lynn Maslen, and lots and lots of library picture books. He enjoys reading the BOB books more than he does the lessons in The Ordinary Parents Guide, but we work on both in tiny servings. –Slow and Steady Get Me Ready by June Oberlander. This is a book of weekly activities for children from birth to age five. Many of the activities are more involved or require more parental assistance than I generally have time (or energy) for, but I’ve gotten some really great ideas from this book. –The blog Hands On: As We Grow, which has tons of ideas for activities for preschool-aged kids. Like with Slow and Steady, many of these are too involved for me to do every day, but they give me great ideas for occasional projects. –Child-Size Masterpieces by Aline D. Wolf (from Parent Child Press). They’re postcard-sized reproductions of artwork that hangs in galleries and museums around the world with accompanying instructions for helping children find similarities between pieces and eventually identify styles, periods, and artists. We’ve taken a little break from them recently, but now that I think of it, I should probably get them back out. Both kids love them. Thanks, I’m going to look into Life of Fred as a supplement! There is occasional mention of morals from a Christian perspective, but it’s not overbearing or preachy or even religious in a passing-of-doctrine sense (at least not to my eye). The author just kind of touches on morals, like when Fred’s the victim of an unscrupulous salesperson or when his money is stolen. Fred’s trusting and compassionate in the face of these betrayals even as he learns lessons about being more cautious, and I kind of like that. Thanks for stopping by! I love comments anyway, but even better, your comment led me to your blog, which I’m quite enjoying!